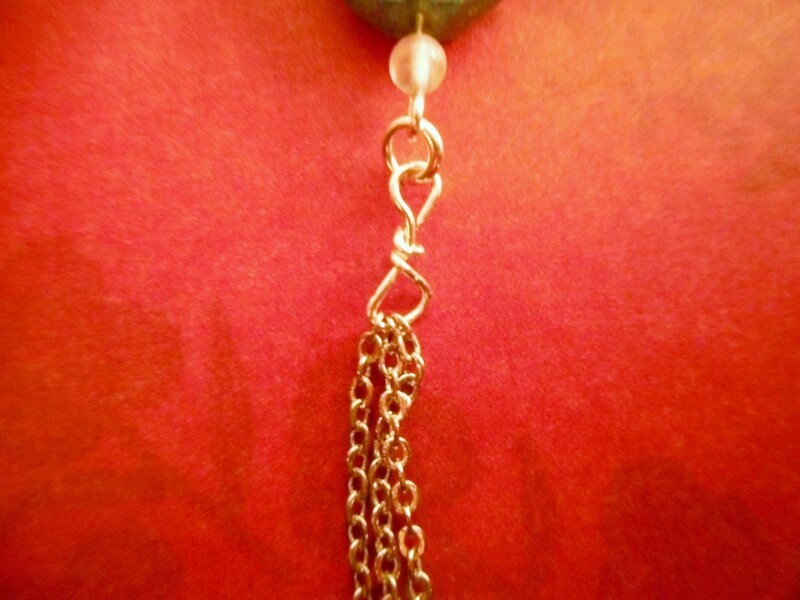 I finally wore out the chain for my favorite pendant. 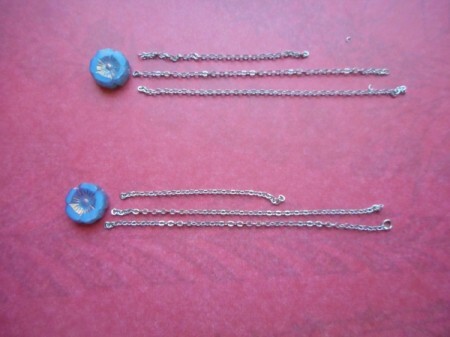 Instead of repairing it, (already did that once) I decided it was time to scrap the chain. What resulted was a simple pair of earrings that would make a perfect small gift. 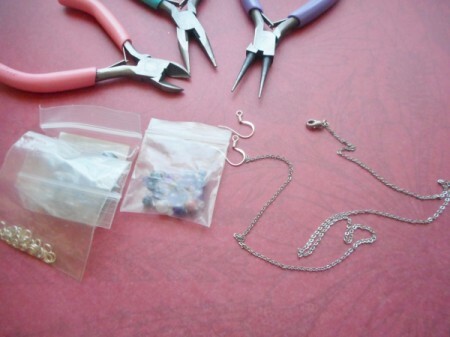 Cut the clasp off the old chain (if applicable) and cut the chain into desired size pieces. 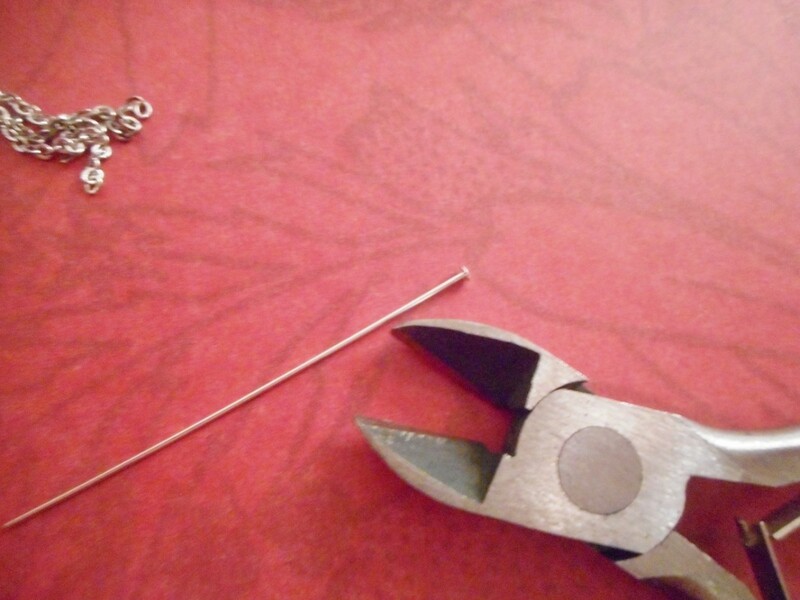 Take a thin 1 1/2 inch long headpin and snip off the head (or use a small length of wire). String the ends of the chain pieces through the wire. 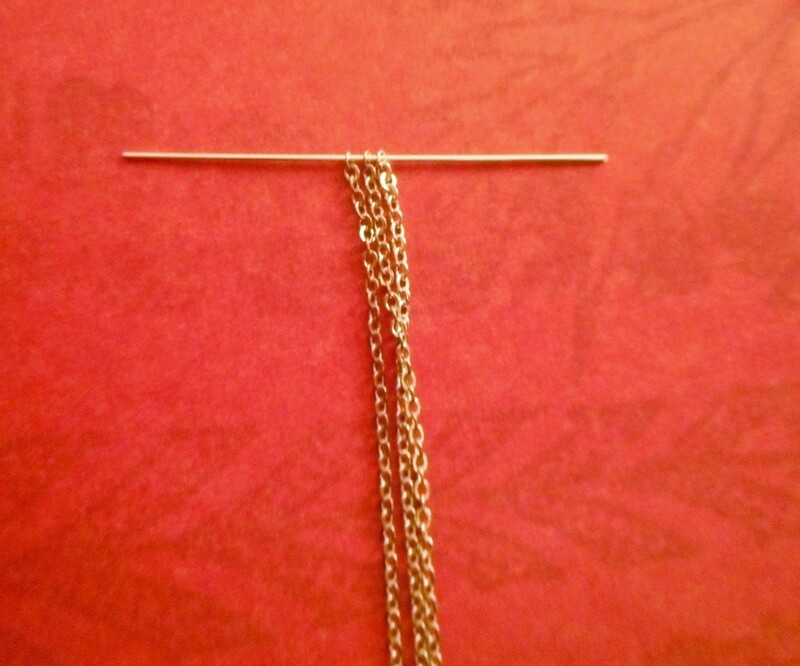 Make a small triangle or loop where the chain will dangle and secure the top of the wire into another loop, wrapping around the other half of the wire to close the loop. Trim off excess wire. 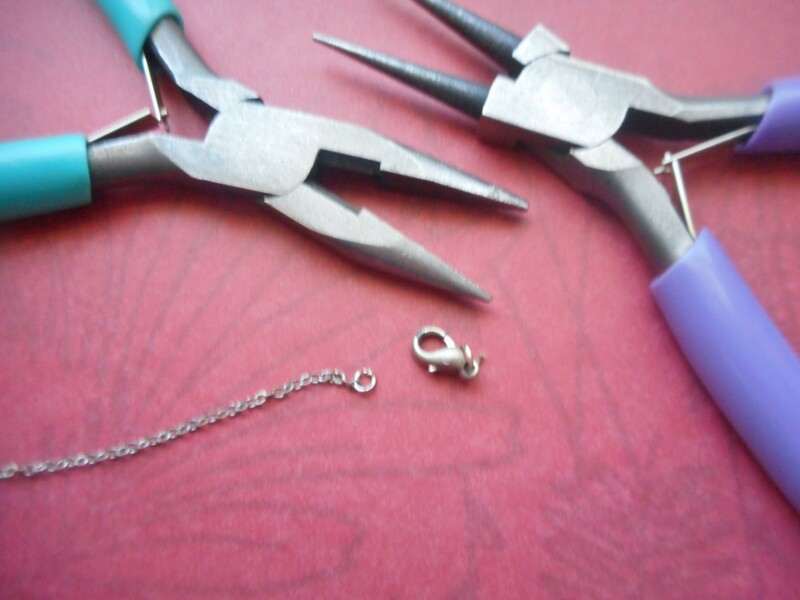 Attach a small jump ring to the top loop. 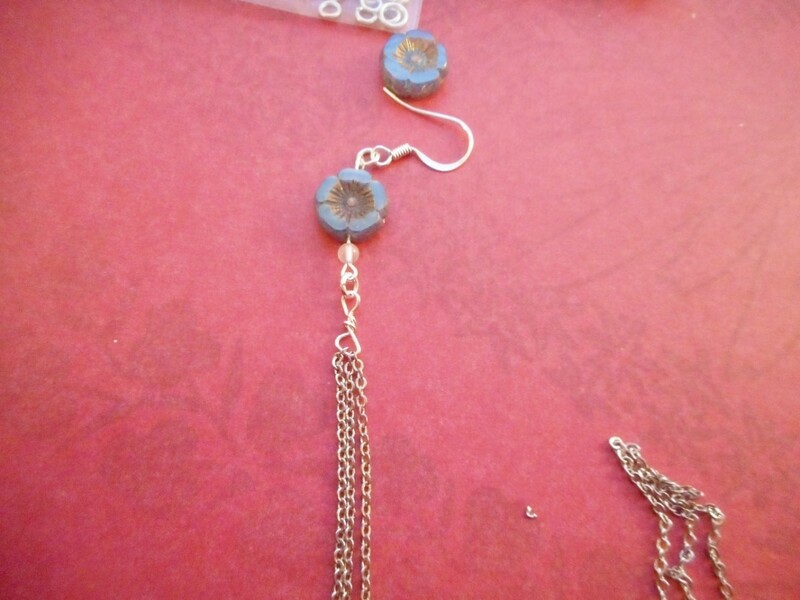 Make an eye-pin out of another length of wire. 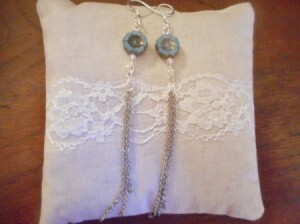 String the beads on the pin and then loop and close where you want the top to go. Add a jump ring to this part. Attach the ear wire from the jump ring. 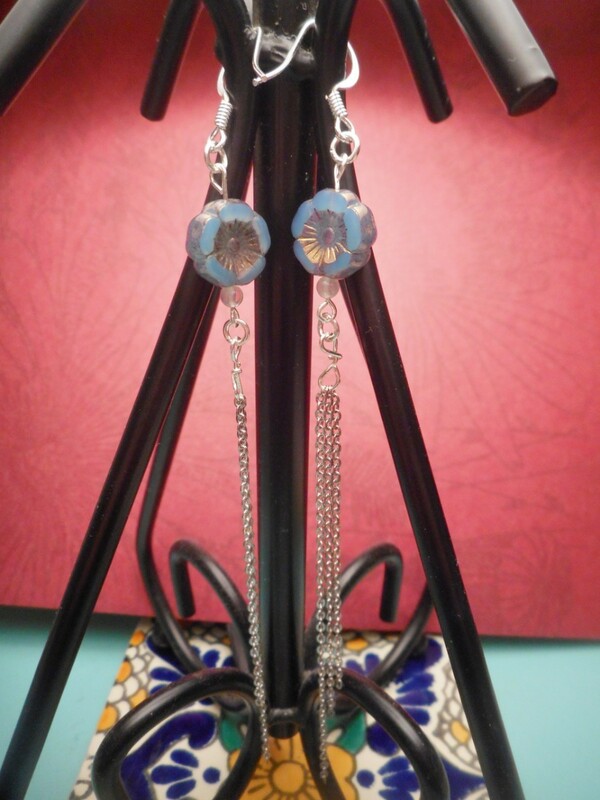 Secure the links together and then do the same for the other earring.